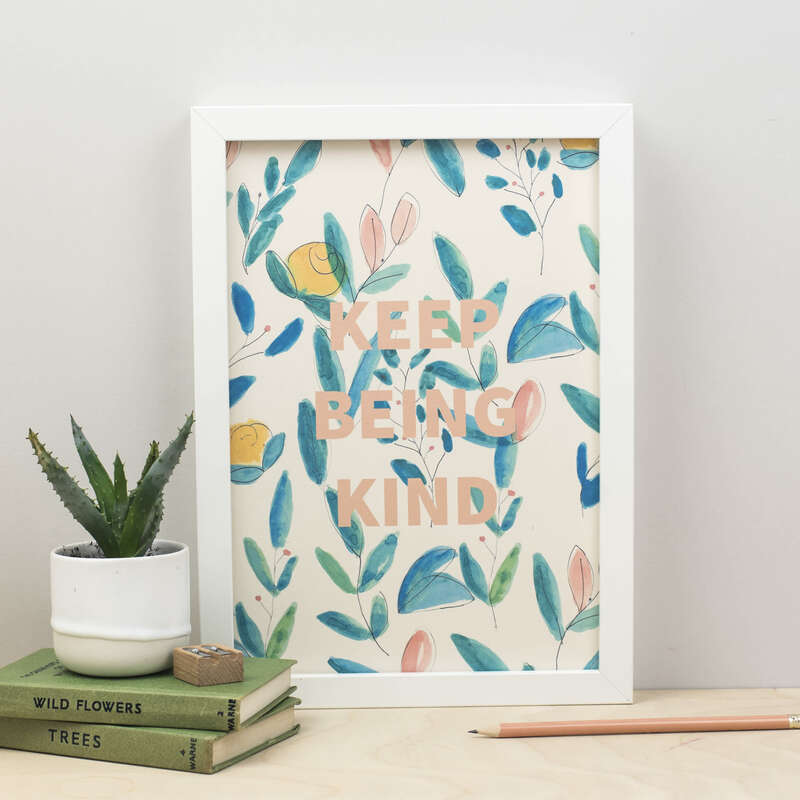 Keep Being Kind Print. A beautifully simple botanical print from our FLORAL collection. Printed onto thick high quality FSC accredited paper. Printed onto thick high quality FSC accredited paper. & Hobbs in Shere, United Kingdom.